Staff Recommendation: In 1893 Cora Seaborne, an amateur naturalist, travels to Essex with her peculiar son and her forthright friend. Cora has recently been liberated by the death of her oppressive husband, and away from London she can take refuge in the security of old friendships and the sudden delight of the new. 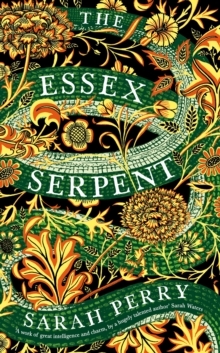 Muddying the waters is the tale of the Essex Serpent, to whose malign powers are attributed a recent death and strange happenings in the village of Aldwinter. The vicar William Ransome finds in Cora a lively antidote to the superstition of his parishioners, and their connection deepens despite their intellectual rivalry. Back in London Cora’s devoted friend the Imp, a daring and brilliant surgeon, grows in ambition and jealousy. The mingling strands of medical advancement, country mythology, urban discontent and the power of friendship make this novel a beguiling glimpse into the years of change at the end of the nineteenth century.